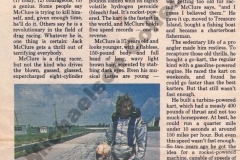 Over the years I have had the opportunity to meet hundreds of interesting people, Jack McClure was one of them and he is one of the coolest guys I ever met. 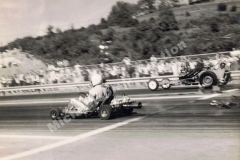 I first met Captain Jack McClure in around 1972 at the Great Lakes Dragways. 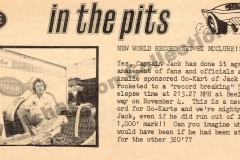 My old friend Bob Metzler, the track promoter, introduced Captain Jack to me. 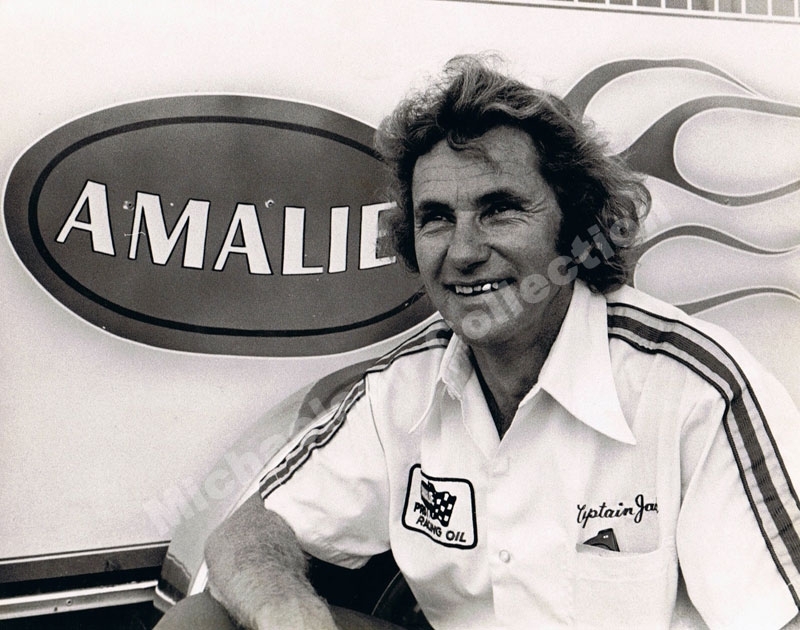 Captain Jack was one of the good old southern boys that you took a liking to the second you met him. 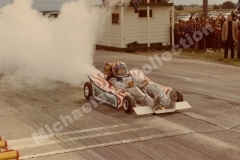 But the big thing that got my attention and the crowds attention was the one and only Captain Jack would jump into a Rocket powered Go Kart and drive it over 200 mph in the quarter mile. 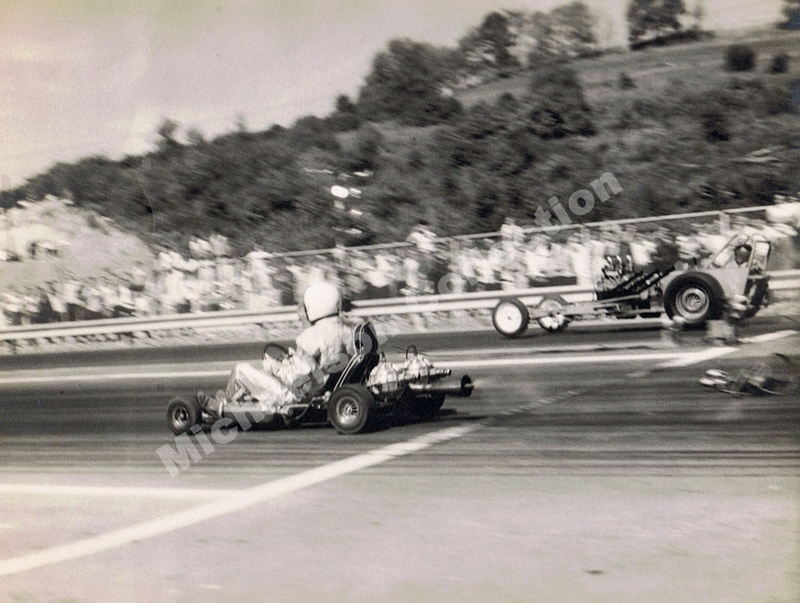 Everyone said this guy was either crazy or he had a death wish, Jack was neither of them. 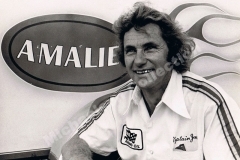 Jack was an entertainer, he also had the best half time act in drag racing for a number of years. 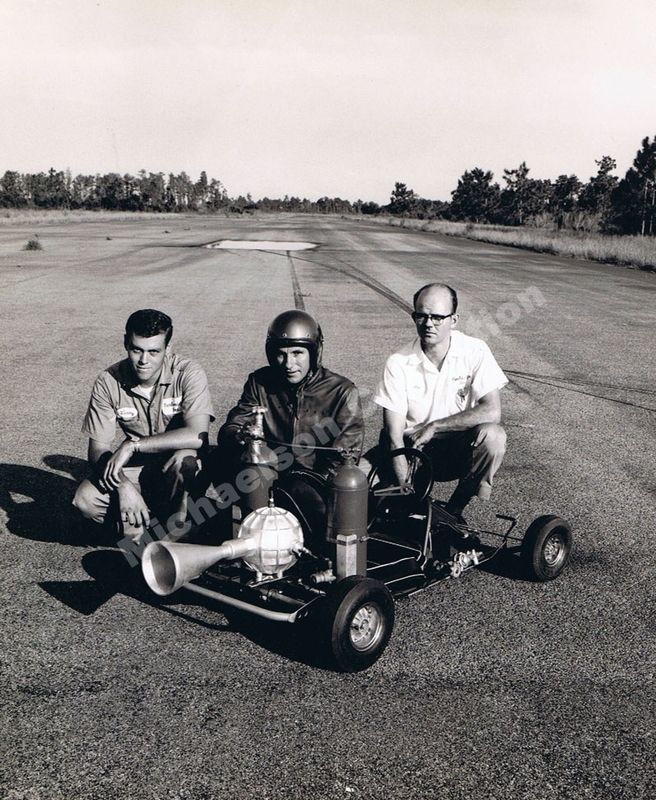 Captain Jack sold his Rocket Kart to Ramon Alvarez and Russell Mendez they renamed the Kart “Free Country”. 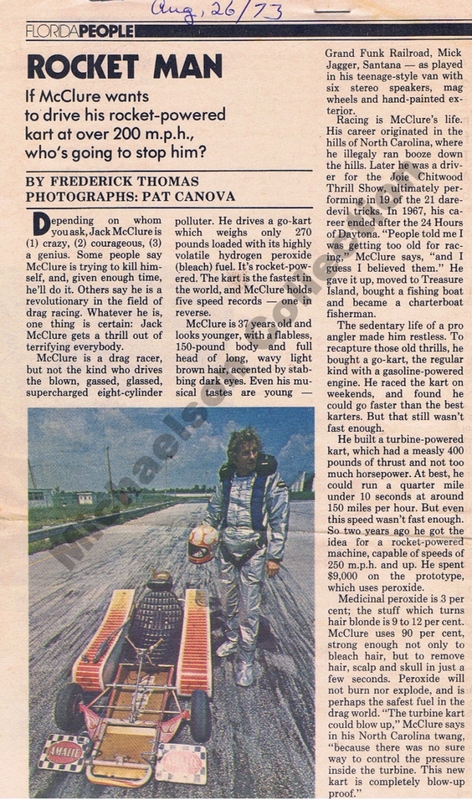 Captain Jack bought a fishing boat and opened up a charter service in Florida. 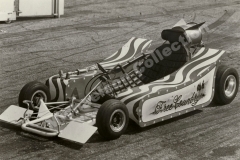 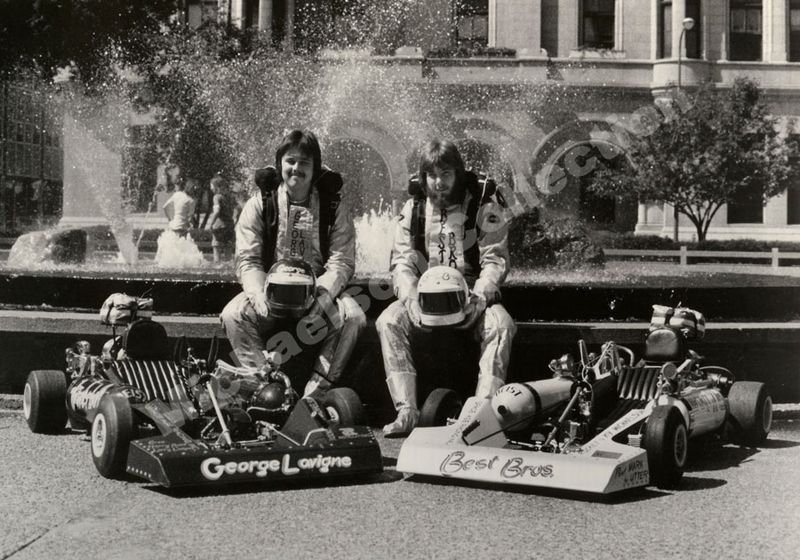 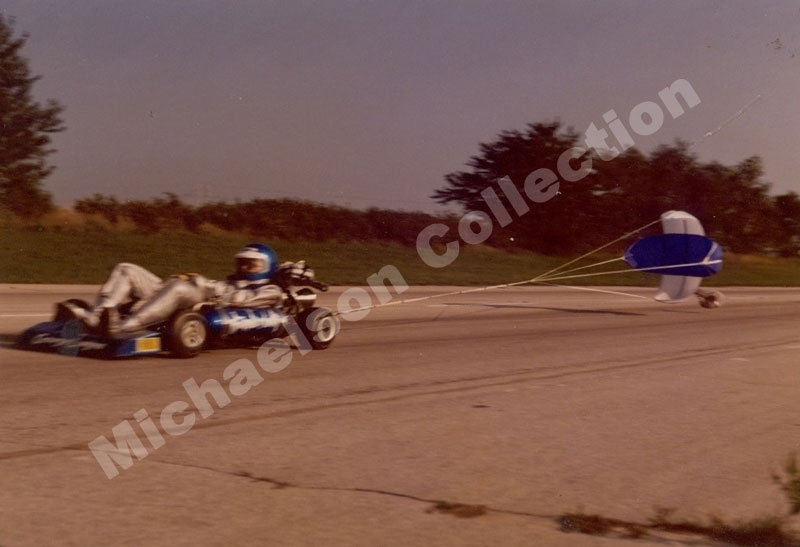 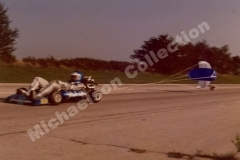 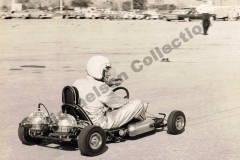 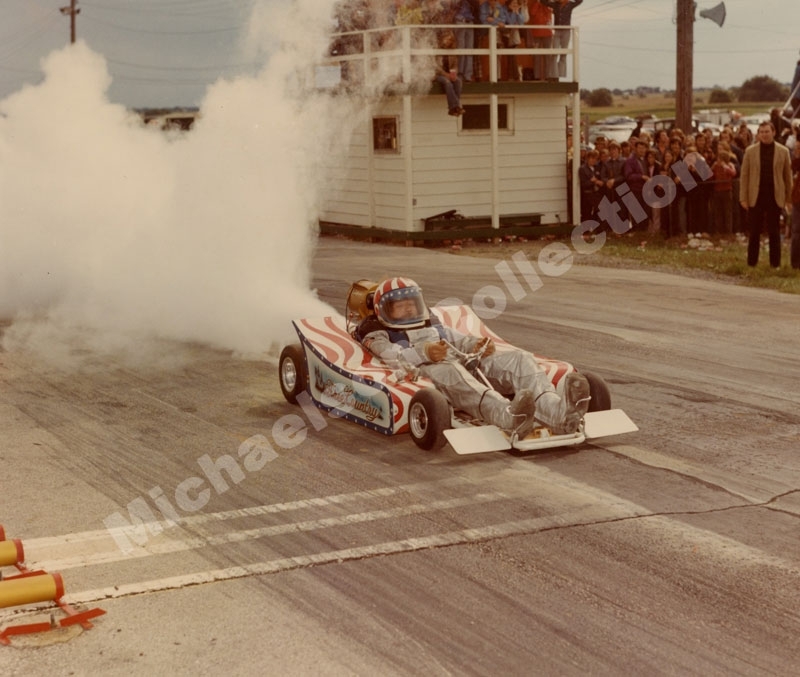 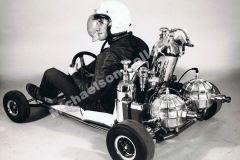 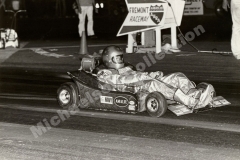 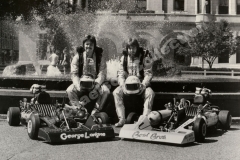 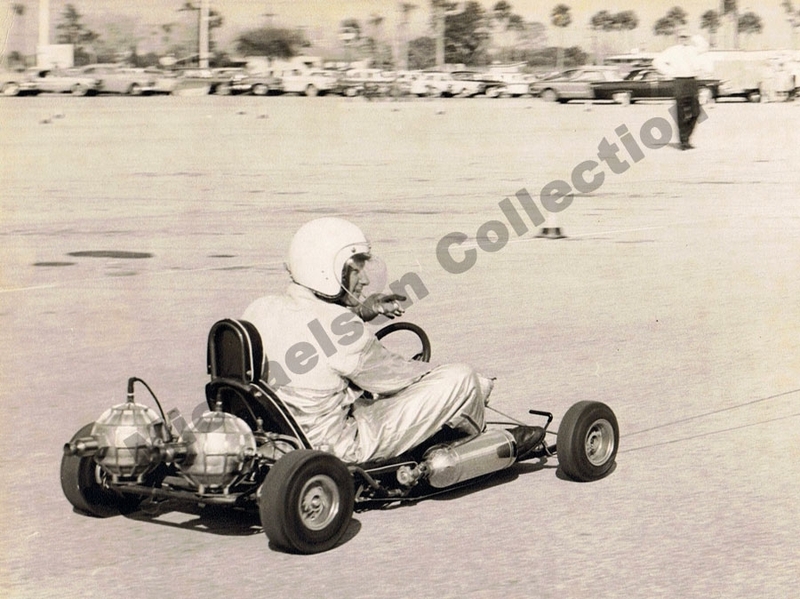 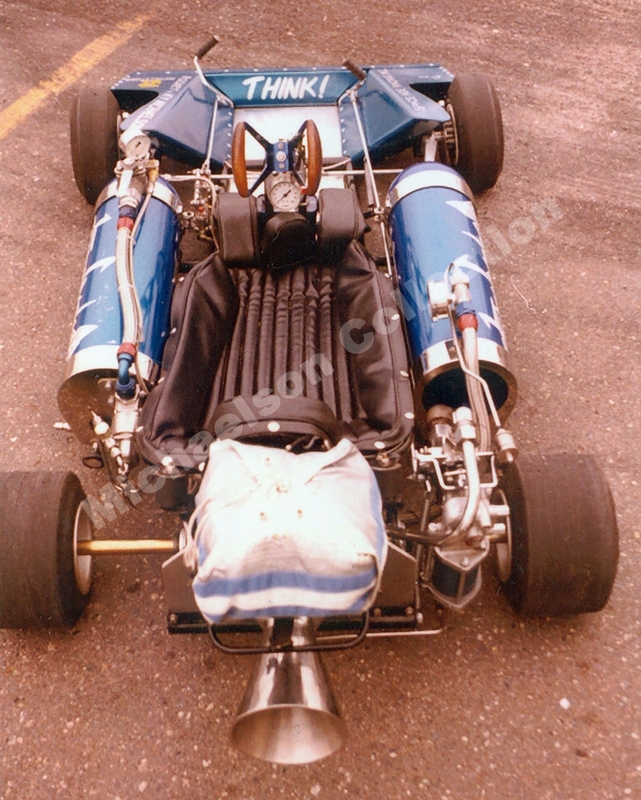 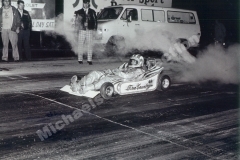 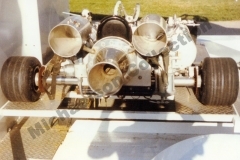 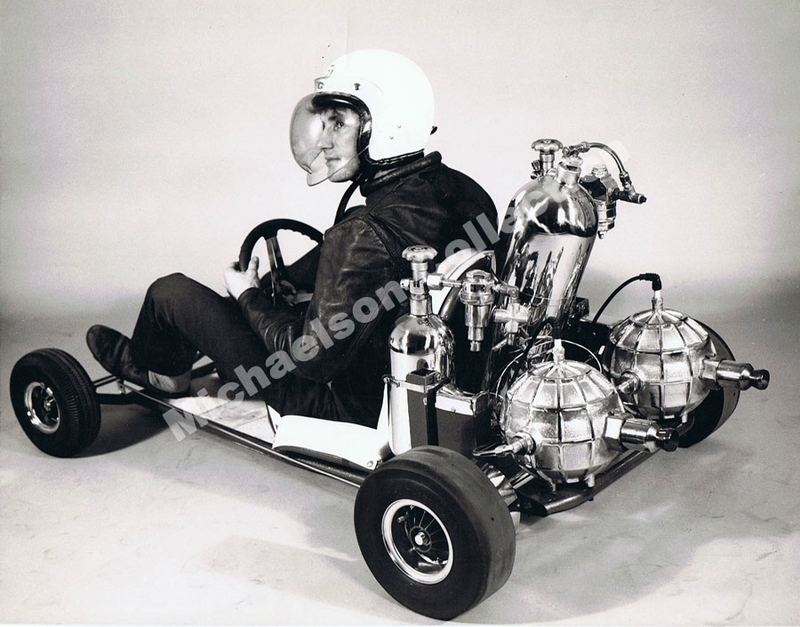 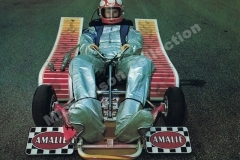 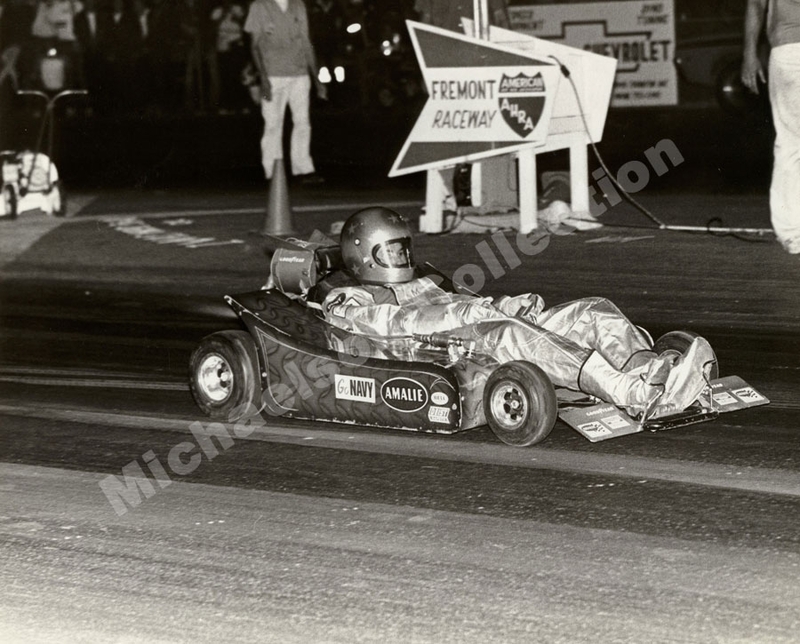 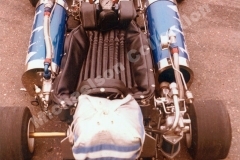 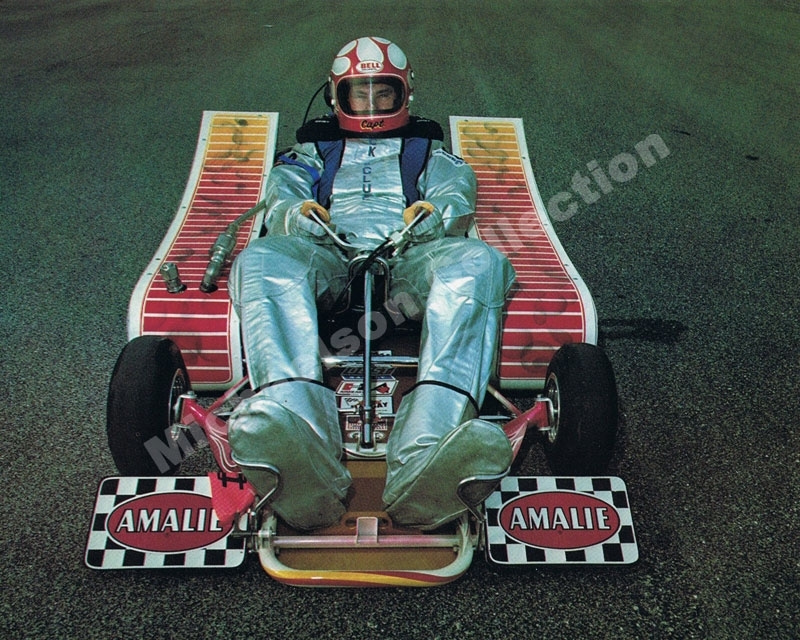 Ky Michaelson Built two Rocket Go Karts for George Lavigne, Pat Best and his brother. 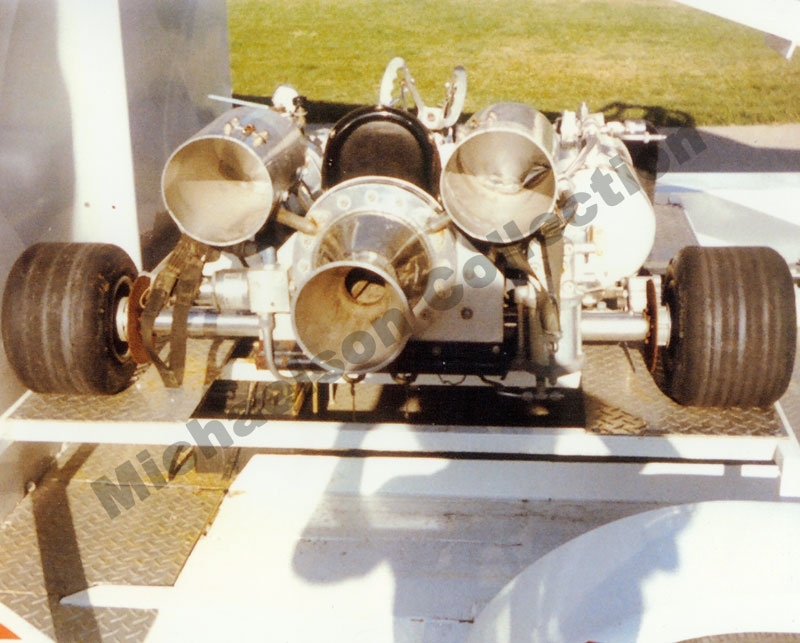 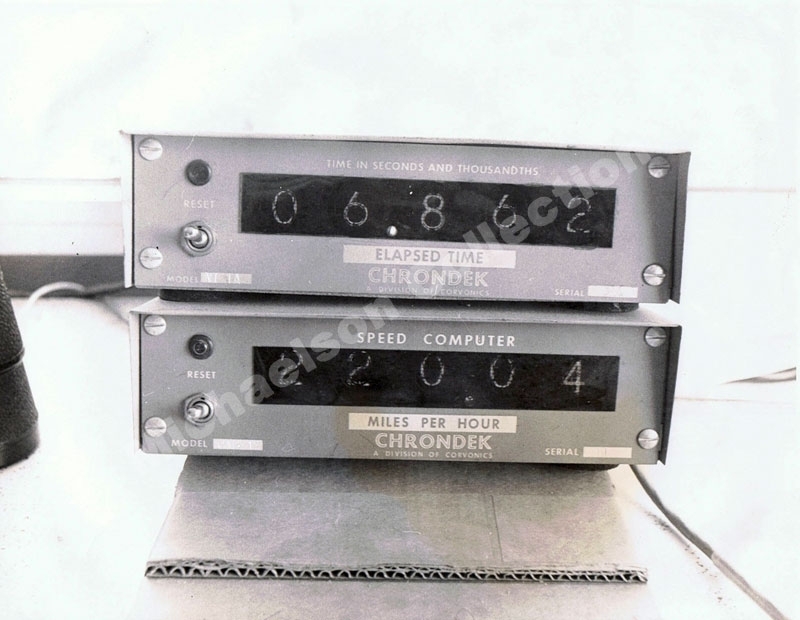 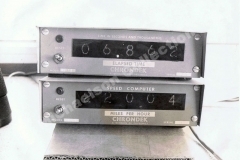 They were powered by a 1,500 lb thrust Hydrogen Peroxide rocket motor. 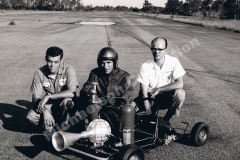 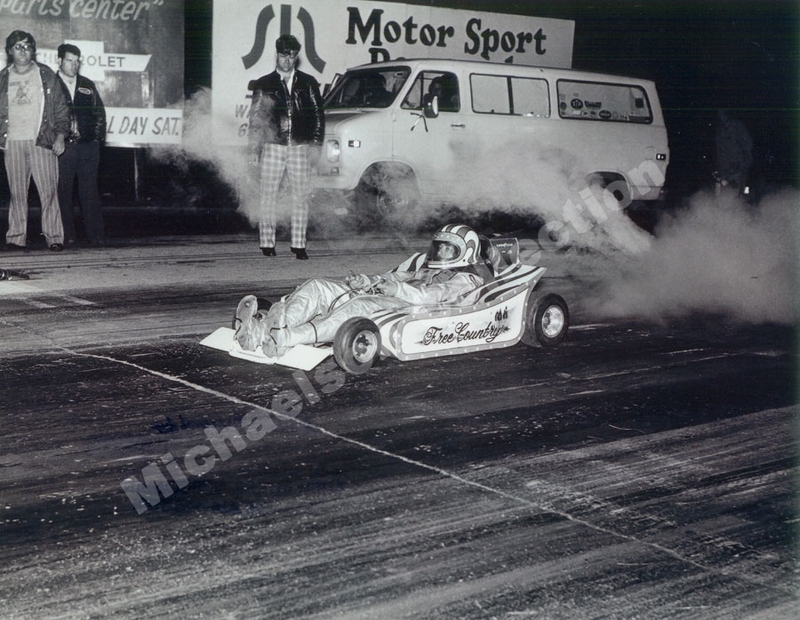 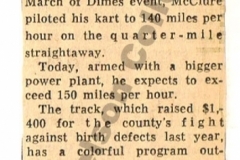 Pat made history when he set the world speed record at 248 mph on his rocket kart North Star speedway. 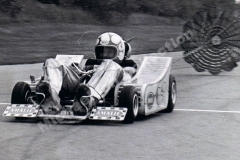 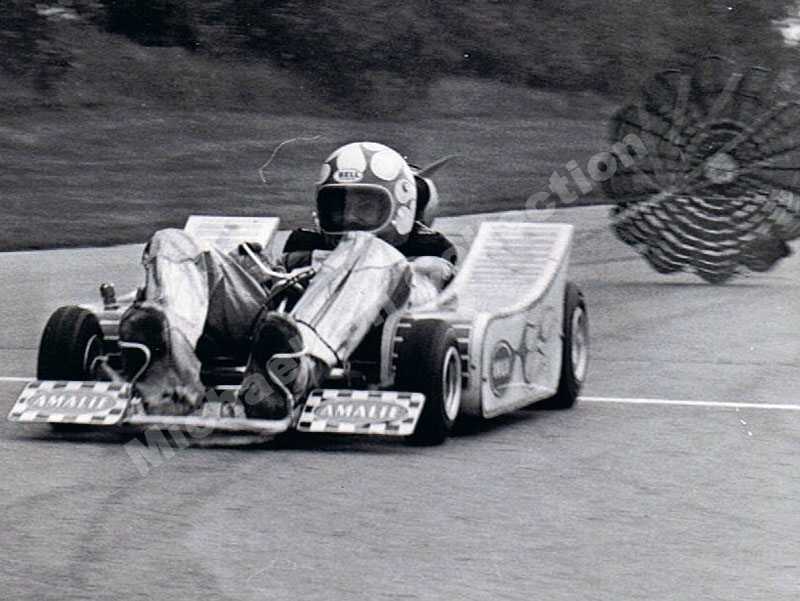 They raced this Karts side by side for two years.